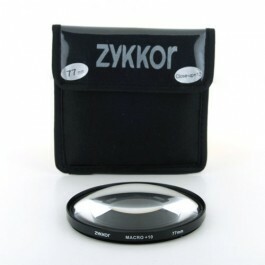 This 77mm +10 Macro Lens fit any regular lens with 77mm filter thread. When your lens does not permit to move closer to the object you're taking picture of, this close up lens +10 is a must have! Simply mount on to your regular lens with 77mm filter thread and you will see the possibility of macro photography! It'll magnify the object from inches away for you to capture amazing images!This Close-up +10 Macro Filter is double threaded and you can use additionally other filters: polarizer, UV filter and more.